I have a lot to say on this topic but for now let’s just talk about equipment, Skis and Snowboards in all their colors, cambers, and elliptical/apoplectic side-cut glory. These are the beautiful sticks that allow us to get down hill as did the hunters of Lapland in times gone by…. they were able to carry home whole caribou on newly hewn logs but we follow in their tracks, if in a distant suburban kind of way. Whatever, oak staves or carbon mesh wrapped around a lightly toasted marshmallow core, it still begins with the boards. First: Renting is expensive and aside from the first few times it is a loser’s game– while I respect the shops and grant it is an important service; the house is definitely winning. Second: Renting expends your time, sometimes a lot of it. And if time is money then there is a particularly terrible bankruptcy declared at the end of a rental counter filling out paperwork amid the rank odor of a thousand fetid boot liners and crying toddlers while the snow falls peacefully outside the fogged up window a two hour line behind you. Owning your own equipment frees you of all that. Also you get to don your monocle and tell the sniveling renters to move aside, the slopes await. 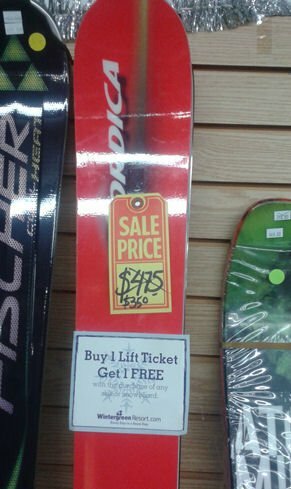 Often shop deals include things like 3 free annual tunes (the Alpine by me) or free lift tickets to a local resort (C&R by me) and they include local knowledge and accountability and yes they really were the in same price range as the online heavyweights, I’ve looked. 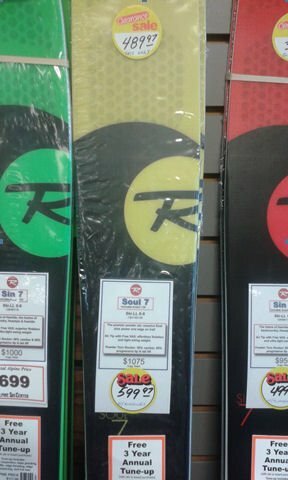 Also at this time of the season they often sell good quality skis from last years rental and demo fleet, these are tuned and have bindings that can easily be adjusted to various boot sizes. 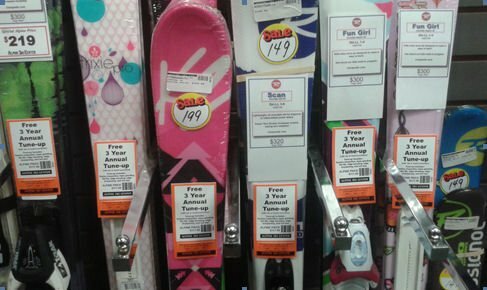 You can buy new skis flat (no bindings) or get a package which brings the price of all the parts down even further and usually includes mounting, qualified adjustment for your lovely knees, and the aforementioned perks and freebies. There is certainly a shop close to you that has similarly great deals. Boots? 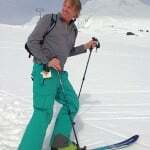 You especially want to take some time in a shop for that purchase and yes they have internet matched prices that I saw and a lot of last years inventory that are cheaper than The Internet Evolved BackcountryBroStores that you may be familiar with. 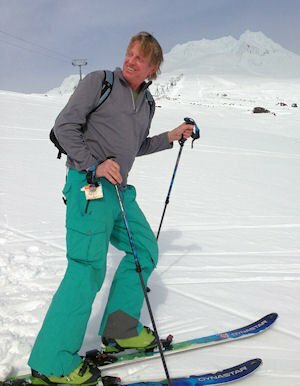 However, I will say that buying clothing, outer wear and many accessories at specialty shops makes little sense to me; big box discount, online and outlet deals abound…personally, I like the crinkle and crunch of a poorly tanned Reindeer hide as I move up the lift line which often parts before me. Respect? Odor? hard to say. Go to your shop this week and buy cheap good quality equipment– I swear you won’t regret it!! In fact it makes the upcoming season even more exciting, waiting to try your OWN new gear has a real night before Christmas feel, although two months of nights before Christmas can get a little painful I admit. Do this now, Go, before the less deserving masses come to the sale at the end of the month and pick it as clean as a caribou left to the wolves. Next articleA Cold and Snowy Winter Ahead?!?! That’s What The Old Farmer’s Almanac is Saying!